This is a book summary of Antifragile by Nassim Nicholas Taleb and not the original book. 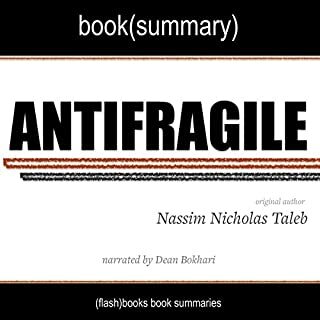 Antifragile is a standalone book in Nassim Nicholas Taleb's landmark Incerto series, an investigation of opacity, luck, uncertainty, probability, human error, risk, and decision making in a world we don't understand. The other books in the series are Fooled by Randomness, The Black Swan, and The Bed of Procrustes. Dr. Steve Peters explains that we all have a being within our minds that can wreak havoc on every aspect of our lives. He calls this being "the chimp," and it can work either for you or against you. 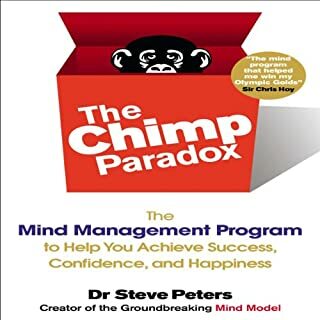 The Chimp Paradox contains an incredibly powerful mind management model that can help you be happier and healthier, increase your confidence, and become a more successful person. This audiobook will help you to recognize how your mind is working, understand and manage your emotions and thoughts, and become the person you would like to be. The best way to describe this book is it's an Owners Manual for People. Acemoglu's theory and explanation of the differences in global prosperity are as enlightening as they are entertaining. 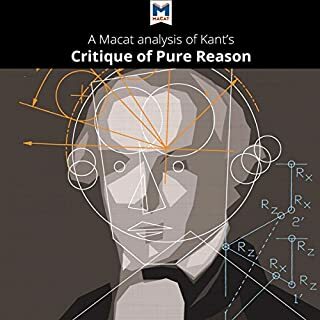 He manages to make the puzzling concept dead simple to understand because the book, rather than a lengthy lecture explaining the theory, is a series of examples supporting it. After the first chapter, you will fundamentally understand the concept and theory behind this book, and each subsequent chapter will support the theory in fascinating ways. Democracy has been the American religion since before the Revolution - from New England town halls to the multicultural democracy of Atlantic pirate ships. But can our current political system, one that seems responsive only to the wealthiest among us and leaves most Americans feeling disengaged, voiceless, and disenfranchised, really be called democratic? And if the tools of our democracy are not working to solve the rising crises we face, how can we - average citizens - make change happen? 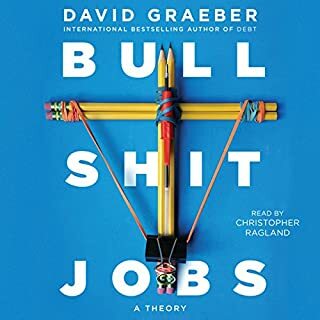 David Graeber, one of the most influential scholars and activists of his generation, takes listeners on a journey through the idea of democracy. Must-read: such insight, an awakening! 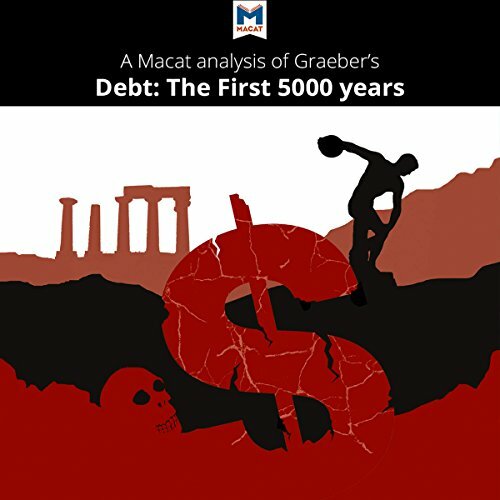 First published at a time of huge economic turmoil around the world, Debt has been warmly received by activists looking for an intellectual foundation for alternatives to capitalism. 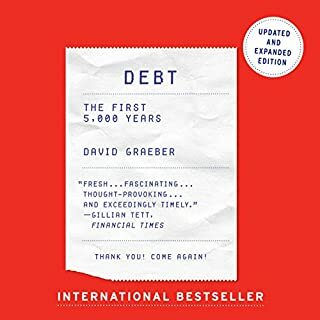 As an activist himself, Graeber believes people can do better than relating to each other simply by measuring and enforcing debt. He says, "A debt is just the perversion of a promise. It is a promise corrupted by both math and violence." Good analysis, but it takes too much time to read chapter number title and repeat it all twice. 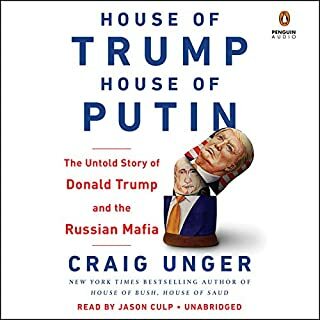 It feels like 10% of the book is just reading chapter name. Another academic and idealistic mindset not living in the real world. Although many good points are made, it is an unnecessary read.